The film chronicles the determination and tenacity of the Listuguj Mi'gmaq people to use and manage the natural resources of their traditional lands. Our Nationhood provides a contemporary perspective on the Mi'gmaq people's ongoing struggle and ultimate success, culminating in the community receiving an award for Best Managed River from the same government that had denied their traditional rights. Canadian filmmaker of Abenaki descent. Born in New Hampshire, and raised primarily in Quebec, she has produced and directed many National Film Board of Canada documentaries on First Nations culture and history. Her best known documentary is Kanehsatake: 270 Years of Resistance, about the 1990 siege at Oka, Quebec. Christmas at Moose Factory (1971), Mother of Many Children (1977), Amisk (1977), Gabriel Goes to the City (1979), Canada Vignettes: Wild Rice Harvest Kenora (1979), Incident at Restigouche (1984), Richard Cardinal: Cry from the Diary of a Métis Child (1986), Poundmaker’s Lodge: A Healing Place (1987), No Address (1988), Le Patro Le Prévost – 80 Years Later (1991), Walker (1992), Kanehsatake: 270 Years of Resistance (1993), My Name Is Kahentiiosta (1995), Spudwrench (1997), Rocks at Whiskey Trench (2000), Is the Crown at War with Us? 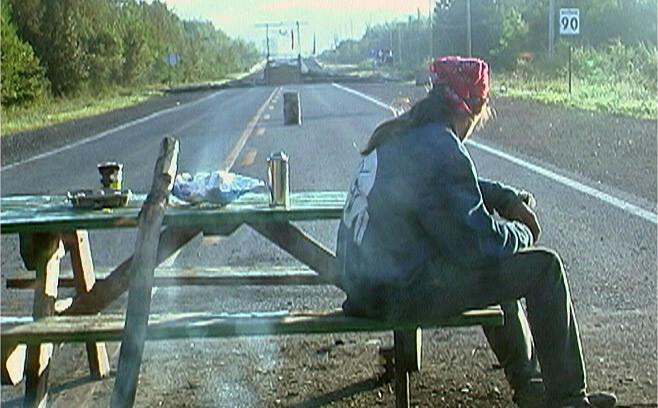 (2002), Our Nationhood (2003), Waban-aki: People from Where the Sun Rises (2006), History of Manawan. Part Two (2009), Professor Norman Cornett (2009), Hi-Ho Mistahey! (2013), Trick or Treaty? (2014).